Ike's Creek (a beautiful spring-fed stream near the Mall of America) needs your support. 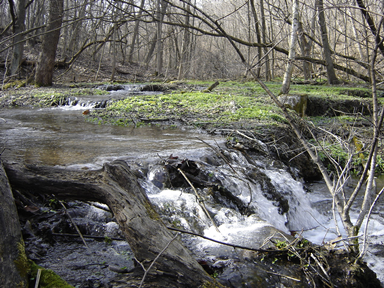 Ike's Creek (officially/currently called "Unnamed Creek" by the DNR) is one of several streams that are currently being proposed for trout stream designation/protection by the DNR. The public comment period is open for a short window (for comments of support or opposition) until November 7th, 2016. Please provide comments supporting trout stream designation for Ike's Creek - officially named "Unnamed Creek" in Hennepin County. RE: Unnamed Stream (aka Ike's Creek) in Hennepin County. I support trout stream designation for this Unnamed Stream (Ike’s Creek) in Hennepin County, due to its proven ability to meet the DNR’s four factors for trout stream designation, this stream’s unique location in a metropolitan area, and this stream’s need for protection from/consideration during upcoming redevelopment in its immediate surrounding area (from stormwater, erosion and other negative impacts) and within its springshed area (to help ensure it will continue to have a clean and sufficient groundwater supply to maintain the stream’s ecosystem). Also, I support officially renaming this stream to Ike’s Creek, as a tribute to this stream area’s 90 year plus history with the Izaak Walton League in providing protection for precious natural resources/ecosystems like this. Thank you for taking the time to weigh in on protections for Ike’s Creek! Your supportive comments to the DNR are very valuable. This stream meets all of the selection criteria for trout stream designation (and it’s a very unique/precious natural resource asset that deserves protection and preservation). 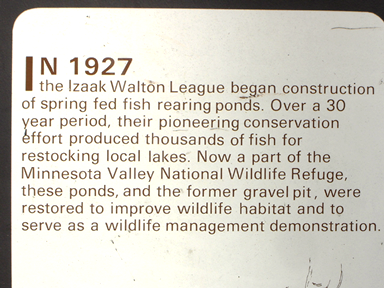 Members of the Izaak Walton League have been involved with this stream and the creation and management of the Bass Lake Ponds for nearly 100 years. Please help us carry on this grassroots Izaak Walton legacy of protection of this natural resource asset.